Welcome to the inaugural column of "Ask a Librarian" where every week I'll be answering your questions. Whether you're wondering how much that old car is worth or how many licks it really does take to get to the center of a Tootsie Pop, no subject is safe and no question too small. If you would like to have your questions answered, see the end of the column for submission information. Q: I drive down Sheridan Road in Chicago every day. Who exactly was Sheridan? Sheridan Road is named for Lt. General Phillip Henry Sheridan who was born in 1831, the son of Irish immigrants. Sometimes known as "Little Phil" because of his short stature (5'5"), Sheridan first came to fame during the Civil War. As the Chief of Calvary of the Army of the Potomac, Sheridan secured his place in the history books on October 19, 1864 when he successfully transformed a surprise attack on his army by Confederate troops, led by Lt. Gen. Jubal Early, into a Union victory at Cedar Creek, Virginia. Sheridan's actions that day are immortalized in the poem "Sheridan's Ride" by Thomas Buchanan Read. After the war, Sheridan was given command of the Army's Division of the Missouri in 1867 where he was charged with the controversial task of "subduing the Indians" and placing them on reservations. He moved the Division's headquarters to Chicago and was in the city during the Great Chicago Fire of October 8, 1871. Chicago's mayor, Roswell B. Mason, entrusted Sheridan with keeping the peace in the city in the aftermath of the conflagration. A statue of the general sitting astride his horse dominates the intersection at Belmont Ave. and Sheridan Road. The statue, installed in 1923, was created by Gutzon Borglum, the same egomaniacal sculptor responsible for the carving of Mount Rushmore. An identical Sheridan equestrian statue, cast from the same mold, stands on Massachusetts Ave. in Washington, DC. Incidently, General Sheridan's horse, Winchester, is on display at the Smithsonian's National Museum of American History. Sheridan rode Winchester during the Battle of Cedar Creek, and the horse features prominently as a protagonist in Thomas Buchanan Read's poem. Consequently, when Winchester died in 1878, Sheridan had the body stuffed and mounted. Got a question? Go on, ask me. I dare you. 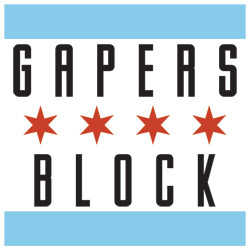 Send your questions to librarian@gapersblock.com and it may be featured in a future column. Nice. While I've never really thought about how Sheridan was, I quite like trivia like this. Good stuff, I look forward to the next one. Hey, that statue at Belmont and Sheridan? I haven't seen it, but supposedly Cubs fans paint the balls of the horse orange whenever the Cubs win. I have no idea why. I used to wait for the bus by that statue every work day. I never saw the horsie's knackers painted orange, but for some time they were adorned with quite a flattering shade of purple that really worked with the green patina. I wish all vandals could coordinate like that. This column gave me an idea. You could get a lot of historical interest mileage from a 'who is this street named after?' bit. Just sayin'. >You could get a lot of historical interest mileage from a 'who is this street named after?' bit. Just sayin'. This is going to be a fun column! Hooray for librarians and their nuggets! 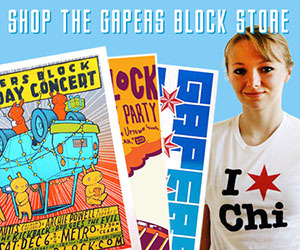 There's even a book: "Streetwise Chicago: A History of Chicago Street Names." Hey, alice, what color are your nuggets? Just kidding. But, everytime I think of you, I remember reading, "Go Ask Alice". Hey, and now I can. Ah, yes, "Go Ask Alice." The made-for-TV movie is prime post-"Trek" material with William Shatner.